Entries in the 2018 NZ Wood-Resene Timber Design Awards demonstrated new and different ways to use timber that nevertheless meet all building codes and criteria as well as being beautiful. “In a market crowded with grand designs and wonderful claims for every construction material, New Zealand timber is proving just how versatile and cost-effective it is,” says Wood Processors and Manufacturers Association Promotions Manager Debbie Fergie. Judges agreed. “The finalists all share a love of expressing timber in its architectural applications,” they said. Entrants competed within 10 categories covering everything from residential and commercial architectural excellence to engineering innovation, multi-storey construction and student innovation. The Resene Supreme Award went to the iconic He Tohu Document Centre within the National Library, inspired by the form and function of a waka huia (treasure container). “This is the perfect vessel to display the founding documents of Aotearoa,” said the judges. This entry also won the Niagara Timber Products’ Interior Innovation category. Runner up was Cymon Allfrey’s Family Bach in Hanmer Springs. “An interesting redefining of the family bach as a series of separate yet interrelated buildings with shared common spaces,” commented judges. This entry also won the CHH Woodproducts Futurebuild Residential Architectural Excellence Award. The South Island again garnered the bulk of winning entries. The Auckland region and Wellington shared honours with five awards each, and Waikato was awarded three. The XLam NZ Multi-Storey Timber Building Award is a new category, requiring entrants to submit projects at least three stories high. This was won by Te Pa Tauira-Otago Polytechnic Student Village in Dunedin. It was the first five-storey all-timber building in the country, with judges pointing out that the highly efficient modular layout enabled efficient offsite prefabrication which significantly reduced construction time, minimised waste and reduced cost. They also believed this building will help to positively shape the attitude of a new generation towards timber. Commended in this category was the three-storey Ara Kahukura, designed as much as a living example of sustainable design as to provide teaching spaces. The building is an excellent testimony to the potential for hybrid timber-steel-concrete structures, said judges. 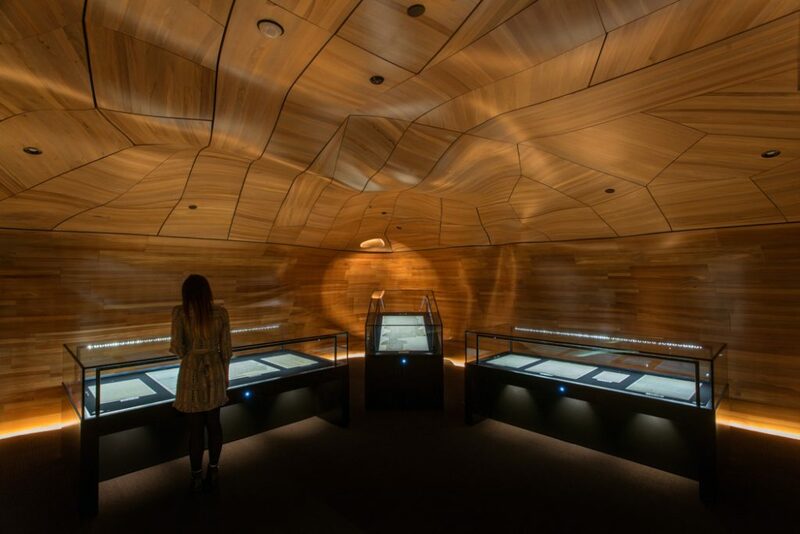 “The 2018 NZ Wood-Resene Timber Design Awards showcase some of the best examples of innovation in timber design that New Zealand has to offer,” they said. “The remarkable achievements of all contestants show how wood is the perfect material to deliver more sustainable and resilient buildings,” they added. The four judges included Pamela Bell M.Arch., Founder and Chief Executive of Prefab NZ who brings experience in architecture, Olympic-level sport, small business development, governance and management to the group; David Carradine Ph.D, who is a Structural Engineer at BRANZ and President-Elect of the NZ Timber Design Society; Tim Melville B.Arch, FNZIA who is a Principal with Warren and Mahoney and President-Elect of the NZ Institute of Architects, and Andrea Stocchero, M.Sc in Architecture from the Università IUAV di Venezia (Italy) is Scion’s Sustainable Architect. Keynote speaker at the Awards was Dr Helen Anderson, QSO, who has a PhD in seismology from the University of Cambridge and 16 years of active research experience as a seismologist. She has both a professional and personal commitment to designing and building for the future, especially concerning the resilience of buildings in disasters, and how we manage risk from our heritage buildings. Currently she is chair of the Building Research Association (BRANZ), Scion Research, MBIE’s Building Advisory Panel, and a Director of five other major organisations.